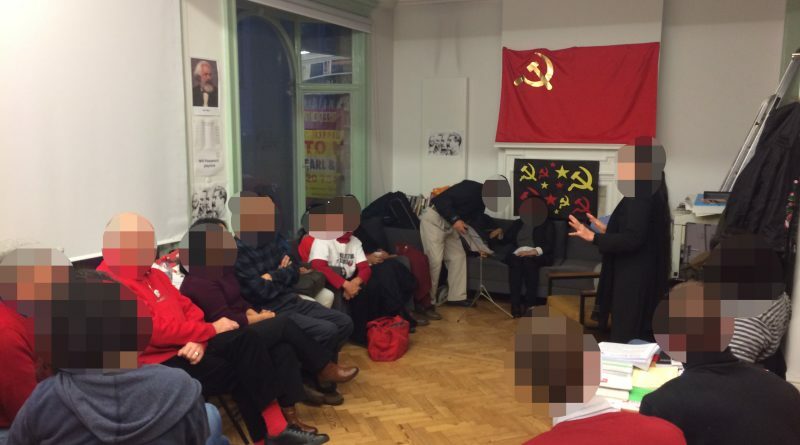 On the November 11, around 20 comrades gathered in London to celebrate the October Revolution. 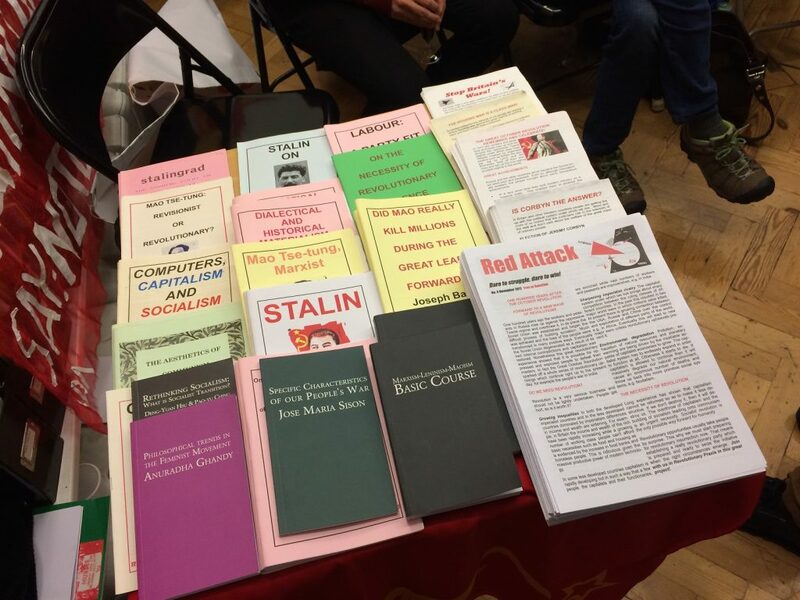 The meeting was organized by Revolutionary Praxis (RP), a British Marxist-Leninist-Maoist organization. 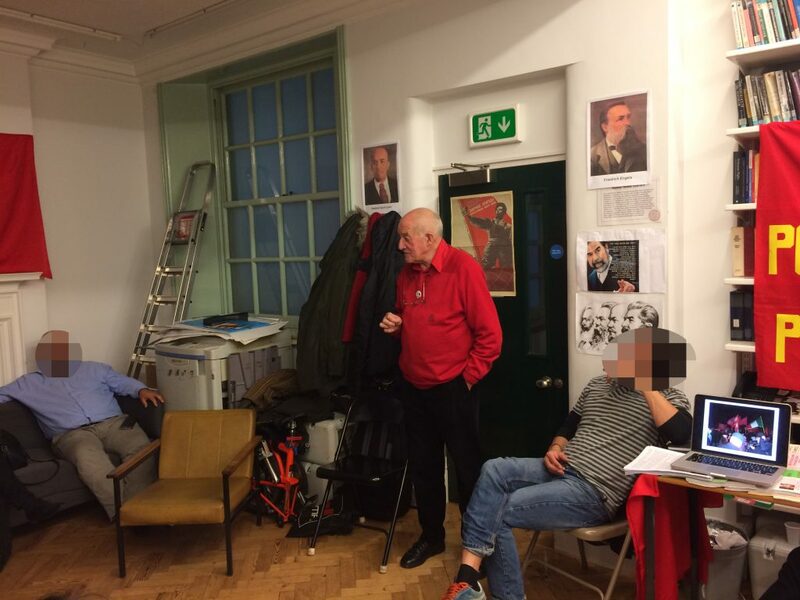 The meeting started with a statement from Revolutionary Praxis, and a report from Harry Powell’s (a senior member of RP) trip to Leningrad where he joined the international demonstration for the Centenial of the October Revolution. Comrades from several countries, such as Colombia, Bolivia, and Peru, attended the meeting and reaffirmed the validity of the October Revolution. One comrade spoke of the necessity of allying with broad anti-imperialist forces, particularly in this time when the US imperialists are actively threatening the world with nuclear war. Several artists performed music and an act in a play, portaying the masses’ struggle against oppression. A delegate of the International League of Peoples’ Struggle (ILPS) read a statement of support to the meeting from ILPS Chairperson Professor Jose Maria Sison.